WARNING: Before reading this lengthy commentary, be aware of the fact that this is but one of many, well-developed methods the CIA and the rest of the intelligence community uses via social media to disseminate its own disinformation, where they continuously lie in an effort to dissuade the public from believing that UFOs are real. What’s so even more interesting, is how the intelligence community in general has trouble keeping their own lies straight, where they appear to continuously contradict themselves. This is now a well-oiled machine, that is regularly reinforced by the media. I find it most interesting how the CIA places propaganda on their own servers. Do they really think that anyone with even half a brain will be stupid enough to believe that the CIA’s own “alleged cover-up” is an accurate one? Give me a break! In late 1993, after being pressured by UFOlogists for the release of additional CIA information on UFOs, (3) DCI R. James Woolsey ordered another review of all Agency files on UFOs. Using CIA records compiled from that review, this study traces CIA interest and involvement in the UFO controversy from the late 1940s to 1990. It chronologically examines the Agency’s efforts to solve the mystery of UFOs, its programs that had an impact on UFO sightings, and its attempts to conceal CIA involvement in the entire UFO issue. What emerges from this examination is that, while Agency concern over UFOs was substantial until the early 1950s, CIA has since paid only limited and peripheral attention to the phenomena. With increased Cold War tensions, the Korean war, and continued UFO sightings, USAF Director of Intelligence Maj. Gen. Charles P. Cabell ordered a new UFO project in 1952. Project BLUE BOOK became the major Air Force effort to study the UFO phenomenon throughout the 1950s and 1960s. (8) The task of identifying and explaining UFOs continued to fall on the Air Material Command at Wright-Patterson. With a small staff, the Air Technical Intelligence Center (ATIC) tried to persuade the public that UFOs were not extraordinary. (9) Projects SIGN, GRUDGE, and BLUE BOOK set the tone for the official US Government position regarding UFOs for the next 30 years. Led by Gordon, the CIA Study Group met with Air Force officials at Wright-Patterson and reviewed their data and findings. The Air Force claimed that 90 percent of the reported sightings were easily accounted for. 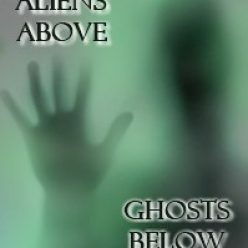 The other 10 percent were characterized as “a number of incredible reports from credible observers.” The Air Force rejected the theories that the sightings involved US or Soviet secret weapons development or that they involved “men from Mars”; there was no evidence to support these concepts. The Air Force briefers sought to explain these UFO reports as the misinterpretation of known objects or little understood natural phenomena. (19) Air Force and CIA officials agreed that outside knowledge of Agency interest in UFOs would make the problem more serious. (20) This concealment of CIA interest contributed greatly to later charges of a CIA conspiracy and coverup. The Robertson panel’s conclusions were strikingly similar to those of the earlier Air Force project reports on SIGN and GRUDGE and to those of the CIA’s own OSI Study Group. All investigative groups found that UFO reports indicated no direct threat to national security and no evidence of visits by extraterrestrials. To most US political and military leaders, the Soviet Union by the mid-1950s had become a dangerous opponent. Soviet progress in nuclear weapons and guided missiles was particularly alarming. In the summer of 1949, the USSR had detonated an atomic bomb. In August 1953, only nine months after the United States tested a hydrogen bomb, the Soviets detonated one. In the spring of 1953, a top secret RAND Corporation study also pointed out the vulnerability of SAC bases to a surprise attack by Soviet long-range bombers. Concern over the danger of a Soviet attack on the United States continued to grow, and UFO sightings added to the uneasiness of US policymakers. Wilton E. Lexow, head of the CIA’s Applied Sciences Division, was also skeptical. He questioned why the Soviets were continuing to develop conventional-type aircraft if they had a “flying saucer.” (43) Scoville asked Lexow to assume responsibility for fully assessing the capabilities and limitations of nonconventional aircraft and to maintain the OSI central file on the subject of UFOs. The early U-2s were silver (they were later painted black) and reflected the rays from the sun, especially at sunrise and sunset. They often appeared as fiery objects to observers below. Air Force BLUE BOOK investigators aware of the secret U-2 flights tried to explain away such sightings by linking them to natural phenomena such as ice crystals and temperature inversions. By checking with the Agency’s U-2 Project Staff in Washington, BLUE BOOK investigators were able to attribute many UFO sightings to U-2 flights. They were careful, however, not to reveal the true cause of the sighting to the public. Field officers from the Contact Division (CD), one of whom was Dewelt Walker, made contact with the Maier sisters, who were “thrilled that the government was interested,” and set up a time to meet with them. (53) In trying to secure the tape recording, the Agency officers reported that they had stumbled upon a scene from Arsenic and Old Lace. “The only thing lacking was the elderberry wine,” Walker cabled Headquarters. After reviewing the sisters’ scrapbook of clippings from their days on the stage, the officers secured a copy of the recording. (54) OSI analyzed the tape and found it was nothing more than Morse code from a US radio station. Incensed over what he perceived was a runaround, Davidson told the CIA officer that “he and his agency, whichever it was, were acting like Jimmy Hoffa and the Teamster Union in destroying records which might indict them.” (61) Believing that any more contact with Davidson would only encourage more speculation, the Contact Division washed its hands of the issue by reporting to the DCI and to ATIC that it would not respond to or try to contact Davidson again. (62) Thus, a minor, rather bizarre incident, handled poorly by both CIA and the Air Force, turned into a major flap that added fuel to the growing mystery surrounding UFOs and CIA’s role in their investigation. Bowing to public pressure and the recommendation of its own O’Brien Committee, the Air Force announced in August 1966 that it was seeking a contract with a leading university to undertake a program of intensive investigations of UFO sightings. The new program was designed to blunt continuing charges that the US Government had concealed what it knew about UFOs. On 7 October, the University of Colorado accepted a $325,000 contract with the Air Force for an 18-month study of flying saucers. Dr. Edward U. Condon, a physicist at Colorado and a former Director of the National Bureau of Standards, agreed to head the program. Pronouncing himself an “agnostic” on the subject of UFOs, Condon observed that he had an open mind on the question and thought that possible extraterritorial origins were “improbable but not impossible.” (75) Brig. Gen. Edward Giller, USAF, and Dr. Thomas Ratchford from the Air Force Research and Development Office became the Air Force coordinators for the project. Condon and the same group met again in May 1967 at NPIC to hear an analysis of UFO photographs taken at Zanesville, Ohio. The analysis debunked that sighting. The committee was again impressed with the technical work performed, and Condon remarked that for the first time a scientific analysis of a UFO would stand up to investigation. (78) The group also discussed the committee’s plans to call on US citizens for additional photographs and to issue guidelines for taking useful UFO photographs. In addition, CIA officials agreed that the Condon Committee could release the full Durant report with only minor deletions. Although the released documents produced no smoking gun and revealed only a low-level Agency interest in the UFO phenomena after the Robertson panel report of 1953, the press treated the release in a sensational manner. The New York Times, for example, claimed that the declassified documents confirmed intensive government concern over UFOs and that the Agency was secretly involved in the surveillance of UFOs. (86) GSW then sued for the release of the withheld documents, claiming that the Agency was still holding out key information. (87) It was much like the John F. Kennedy assassination issue. No matter how much material the Agency released and no matter how dull and prosaic the information, people continued to believe in a Agency coverup and conspiracy. During the late 1970s and 1980s, the Agency continued its low-key interest in UFOs and UFO sightings. While most scientists now dismissed flying saucers reports as a quaint part of the 1950s and 1960s, some in the Agency and in the Intelligence Community shifted their interest to studying parapsychology and psychic phenomena associated with UFO sightings. CIA officials also looked at the UFO problem to determine what UFO sightings might tell them about Soviet progress in rockets and missiles and reviewed its counterintelligence aspects. Agency analysts from the Life Science Division of OSI and OSWR officially devoted a small amount of their time to issues relating to UFOs. These included counterintelligence concerns that the Soviets and the KGB were using US citizens and UFO groups to obtain information on sensitive US weapons development programs (such as the Stealth aircraft), the vulnerability of the US air-defense network to penetration by foreign missiles mimicking UFOs, and evidence of Soviet advanced technology associated with UFO sightings. Like the JFK assassination conspiracy theories, the UFO issue probably will not go away soon, no matter what the Agency does or says. The belief that we are not alone in the universe is too emotionally appealing and the distrust of our government is too pervasive to make the issue amenable to traditional scientific studies of rational explanation and evidence. (1) See the 1973 Gallup Poll results printed in The New York Times, 29 November 1973, p. 45 and Philip J. Klass, UFOs: The Public Deceived (New York: Prometheus Books, 1983), p. 3. (2) See Klass, UFOs, p. 3; James S. Gordon, “The UFO Experience,” Atlantic Monthly (August 1991), pp. 82-92; David Michael Jacobs, The UFO Controversy in America (Bloomington: Indiana University Press, 1975); Howard Blum, Out There: The Government’s Secret Quest for Extraterrestrials (New York: Simon and Schuster, 1990); Timothy Good, Above Top Secret: The Worldwide UFO Cover-Up (New York: William Morrow, 1987); and Whitley Strieber, Communion: The True Story (New York: Morrow, 1987). (3) In September 1993 John Peterson, an acquaintance of Woolsey’s, first approached the DCI with a package of heavily sanitized CIA material on UFOs released to UFOlogist Stanton T. Friedman. Peterson and Friedman wanted to know the reasons for the redactions. Woolsey agreed to look into the matter. See Richard J. Warshaw, Executive Assistant, note to author, 1 November 1994; Warshaw, note to John H. Wright, Information and Privacy Coordinator, 31 January 1994; and Wright, memorandum to Executive Secretariat, 2 March 1994. (Except where noted, all citations to CIA records in this article are to the records collected for the 1994 Agency-wide search that are held by the Executive Assistant to the DCI). (4) See Hector Quintanilla, Jr., “The Investigation of UFOs,” Vol. 10, No. 4, Studies in Intelligence (fall 1966): pp.95-110 and CIA, unsigned memorandum, “Flying Saucers,” 14 August 1952. See also Good, Above Top Secret, p. 253. During World War II, US pilots reported “foo fighters” (bright lights trailing US aircraft). Fearing they might be Japanese or German secret weapons, OSS investigated but could find no concrete evidence of enemy weapons and often filed such reports in the “crackpot” category. The OSS also investigated possible sightings of German V-1 and V-2 rockets before their operational use during the war. See Jacobs, UFO Controversy, p. 33. The Central Intelligence Group, the predecessor of the CIA, also monitored reports of “ghost rockets” in Sweden in 1946. See CIG, Intelligence Report, 9 April 1947. (5) Jacobs, The UFO Controversy, p. 156 and Quintanilla, “The Investigation of UFOs,” p. 97. (6) See US Air Force, Air Material Command, “Unidentified Aerial Objects: Project SIGN, no. F-TR 2274, IA, February 1949, Records of the US Air Force Commands, Activities and Organizations, Record Group 341, National Archives, Washington, DC. (7) See US Air Force, Projects GRUDGE and BLUEBOOK Reports 1- 12 (Washington, DC; National Investigations Committee on Aerial Phenomena, 1968) and Jacobs, The UFO Controversy, pp. 50-54. (8) See Cabell, memorandum to Commanding Generals Major Air Commands, “Reporting of Information on Unconventional Aircraft,” 8 September 1950 and Jacobs, The UFO Controversy, p. 65. (9) See Air Force, Projects GRUDGE and BLUE BOOK and Jacobs, The UFO Controversy, p. 67. (10) See Edward Tauss, memorandum for Deputy Assistant Director, SI, “Flying Saucers,” 1 August 1952. See also United Kingdom, Report by the “Flying Saucer” Working Party, “Unidentified Flying Objects,” no date (approximately 1950). (11) See Dr. Stone, OSI, memorandum to Dr. Willard Machle, OSI, 15 March 1949 and Ralph L. Clark, Acting Assistant Director, OSI, memorandum for DDI, “Recent Sightings of Unexplained Objects,” 29 July 1952. (12) Stone, memorandum to Machle. See also Clark, memorandum for DDI, 29 July 1952. (13) See Klass, UFOs, p. 15. For a brief review of the Washington sightings see Good, Above Top Secret, pp. 269-271. (14) See Ralph L. Clark, Acting Assistant Director, OSI, memorandum to DDI Robert Amory, Jr., 29 July 1952. OSI and OCI were in the Directorate of Intelligence. Established in 1948, OSI served as the CIA’s focal point for the analysis of foreign scientific and technological developments. In 1980, OSI was merged into the Office of Science and Weapons Research. The Office of Current Intelligence (OCI), established on 15 January 1951 was to provide all-source current intelligence to the President and the National Security Council. (15) Tauss, memorandum for Deputy Assistant Director, SI (Philip Strong), 1 August 1952. (16) On 2 January 1952, DCI Walter Bedell Smith created a Deputy Directorate for Intelligence (DDI) composed of six overt CIA organizations–OSI, OCI, Office of Collection and Dissemination, Office National Estimates, Office of Research and Reports, and the Office of Intelligence Coordination–to produce intelligence analysis for US policymakers. (17) See Minutes of Branch Chief’s Meeting, 11 August 1952. (18) Smith expressed his opinions at a meeting in the DCI Conference Room attended by his top officers. See Deputy Chief, Requirements Staff, FI, memorandum for Deputy Director, Plans, “Flying Saucers,” 20 August 1952, Directorate of Operations Records, Information Management Staff, Job 86-00538R, Box 1. (19) See CIA memorandum, unsigned, “Flying Saucers,” 11 August 1952. (20) See CIA, memorandum, unsigned, “Flying Saucers,” 14 August 1952. (21) See CIA, memorandum, unsigned, “Flying Saucers,” 19 August 1952. (22) See Chadwell, memorandum for Smith, 17 September 1952 and 24 September 1952, “Flying Saucers.” See also Chadwell, memorandum for DCI Smith, 2 October 1952 and Klass, UFOs, pp. 23-26. (23) Chadwell, memorandum for DCI with attachments, 2 December 1952. See also Klass, UFOs, pp. 26-27 and Chadwell, memorandum, 25 November 1952. (24) See Chadwell, memorandum, 25 November 1952 and Chadwell, memorandum, “Approval in Principle – External Research Project Concerned with Unidentified Flying Objects,” no date. See also Philip G. Strong, OSI, memorandum for the record, “Meeting with Dr. Julius A. Stratton, Executive Vice President and Provost, MIT and Dr. Max Millikan, Director of CENIS.” Strong believed that in order to undertake such a review they would need the full backing and support of DCI Smith. (25) See Chadwell, memorandum for DCI, “”Unidentified Flying Objects,” 2 December 1952. See also Chadwell, memorandum for Amory, DDI, “Approval in Principle – External Research Project Concerned with Unidentified Flying Objects,” no date. (26) The IAC was created in 1947 to serve as a coordinating body in establishing intelligence requirements. Chaired by the DCI, the IAC included representatives from the Department of State, the Army, the Air Force, the Joint Chiefs of Staff, the FBI, and the AEC. (27) See Klass, UFOs, p. 27. (28) See Richard D. Drain, Acting Secretary, IAC, “Minutes of Meeting held in Director’s Conference Room, Administration Building, CIA,” 4 December 1952. (29) See Chadwell, memorandum for the record, “British Activity in the Field of UFOs,” 18 December 1952. (30) See Chadwell, memorandum for DCI, “Consultants for Advisory Panel on Unidentified Flying Objects,” 9 January 1953; Curtis Peebles, Watch the Skies! A Chronicle of the Flying Saucer Myth (Washington, DC: Smithsonian Institution Press, 1994). pp. 73-90; and Jacobs, The UFO Controversy, pp. 91-92. (31) See Fred C. Durant III, Report on the Robertson Panel Meeting, January 1953. Durant, on contract with OSI and a past president of the American Rocket Society, attended the Robertson panel meetings and wrote a summary of the proceedings. (32) See Report of the Scientific Panel on Unidentified Flying Objects (the Robertson Report), 17 January 1953 and the Durant report on the panel discussions. (33) See Robertson Report and Durant Report. See also Good, Above Top Secret, pp. 337-38, Jacobs, The UFO Controversy, p. 95, and Klass, UFO’s, pp. 28-29. (34) See Reber, memorandum to IAC, 18 February 1953. (35) See Chadwell, memorandum for DDI, “Unidentified Flying Objects,” 10 February 1953; Chadwell, letter to Robertson, 28 January 1953; and Reber, memorandum for IAC, “Unidentified Flying Objects,” 18 February 1953. On briefing the ONE, see Durant, memorandum for the record, “Briefing of ONE Board on Unidentified Flying Objects,” 30 January 1953 and CIA Summary disseminated to the field, “Unidentified Flying Objects,” 6 February 1953. (36) See Chadwell, letter to Julius A. Stratton, Provost MIT, 27 January 1953. (37) See Chadwell, memorandum for Chief, Physics and Electronics Division/OSI (Todos M. Odarenko), “Unidentified Flying Objects,” 27 May 1953. (38) See Odarenko, memorandum to Chadwell, “Unidentified Flying Objects,” 3 July 1953. See also Odarenko, memorandum to Chadwell, “Current Status of Unidentified Flying Objects (UFOB) Project,” 17 December 1953. (39) See Odarenko, memorandum, “Unidentified Flying Objects,” 8 August 1955. (40) See FBIS, report, “Military Unconventional Aircraft,” 18 August 1953 and various reports, “Military-Air, Unconventional Aircraft,” 1953, 1954, 1955. (41) Developed by the Canadian affiliate of Britain’s A. V. Roe, Ltd., Project Y did produce a small-scale model that hovered a few feet off the ground. See Odarenko, memorandum to Chadwell, “Flying Saucer Type of Planes” 25 May 1954; Frederic C. E. Oder, memorandum to Odarenko, “USAF Project Y,” 21 May 1954; and Odarenko, T. M. Nordbeck, Ops/SI, and Sidney Graybeal, ASD/SI, memorandum for the record, “Intelligence Responsibilities for Non-Conventional Types of Air Vehicles,” 14 June 1954. (42) See Reuben Efron, memorandum, “Observation of Flying Object Near Baku,” 13 October 1955; Scoville, memorandum for the record, “Interview with Senator Richard B. Russell,” 27 October 1955; and Wilton E. Lexow, memorandum for information, “Reported Sighting of Unconventional Aircraft,” 19 October 1955. (43) See Lexow, memorandum for information, “Reported Sighting of Unconventional Aircraft,” 19 October 1955. See also Frank C. Bolser, memorandum for George C. Miller, Deputy Chief, SAD/SI, “Possible Soviet Flying Saucers, Check On;” Lexow, memorandum, “Possible Soviet Flying Saucers, Follow Up On,” 17 December 1954; Lexow, memorandum, “Possible Soviet Flying Saucers,” 1 December 1954; and A. H. Sullivan, Jr., memorandum, “Possible Soviet Flying Saucers,” 24 November 1954. (44) See Gregory W. Pedlow and Donald E. Welzenbach, The Central Intelligence Agency and Overhead Reconnaissance: The U-2 and OXCART Programs, 1954-1974 (Washington, DC: CIA History Staff, 1992), pp. 72-73. (45) See Pedlow and Welzenbach, Overhead Reconnaissance, pp. 72-73. This also was confirmed in a telephone interview between the author and John Parongosky, 26 July 1994. Parongosky oversaw the day-to-day affairs of the OXCART program. (46) See Jacobs, The UFO Controversy, p. 135. (47) See Peebles, Watch the Skies, pp. 128-146; Ruppelt, The Report on Unidentified Flying Objects (New York: Doubleday, 1956); Keyhoe, The Flying Saucer Conspiracy (New York: Holt, 1955); and Jacobs, The UFO Controversy, pp. 347-49. (48) See Strong, letter to Lloyd W. Berkner; Strong, letter to Thorton Page; Strong, letter to Robertson; Strong, letter to Samuel Goudsmit; Strong, letter to Luis Alvarez, 20 December 1957; and Strong, memorandum for Major James F. Byrne, Assistant Chief of Staff, Intelligence Department of the Air Force, “Declassification of the `Report of the Scientific Panel on Unidentified Flying Objects,'” 20 December 1957. See also Berkner, letter to Strong, 20 November 1957 and Page, letter to Strong, 4 December 1957. The panel members were also reluctant to have their association with the Agency released. (49) See Wilton E. Lexow, memorandum for the record, “Comments on Letters Dealing with Unidentified Flying Objects,” 4 April 1958; J. S. Earman, letter to Major Lawrence J. Tacker, Office of the Secretary of the Air Force, Information Service, 4 April 1958; Davidson, letter to Berkner, 8 April 1958; Berkner, letter to Davidson, 18 April 1958; Berkner, letter to Strong, 21 April 1958; Davidson, letter to Tacker, 27 April 1958; Davidson, letter to Allen Dulles, 27 April 1958; Ruppelt, letter to Davidson, 7 May 1958; Strong, letter to Berkner, 8 May 1958; Davidson, letter to Berkner, 8 May 1958; Davidson, letter to Earman, 16 May 1958; Davidson, letter to Goudsmit, 18 May 1958; Davidson, letter to Page, 18 May 1958; and Tacker, letter to Davidson, 20 May 1958. (50) See Lexow, memorandum for Chapin, 28 July 1958. (51) See Good, Above Top Secret, pp. 346-47; Lexow, memorandum for the record, “Meeting with the Air Force Personnel Concerning Scientific Advisory Panel Report on Unidentified Flying Objects, dated 17 January 1953 (S),” 16 May 1958. See also La Rae L. Teel, Deputy Division Chief, ASD, memorandum for the record, “Meeting with Mr. Chapin on Replying to Leon Davidson’s UFO Letter and Subsequent Telephone Conversation with Major Thacker, [sic]” 22 May 1958. (52) See Edwin M. Ashcraft, Chief, Contact Division (Scientific), memorandum to Chief, Chicago Office, “Radio Code Recording,” 4 March 1955 and Ashcraft, memorandum to Chief, Support Branch, OSI, 17 March 1955. (53) The Contact Division was created to collect foreign intelligence information from sources within the United States. See the Directorate of Intelligence Historical Series, The Origin and Development of Contact Division, 11 July 1946­1 July 1965 (Washington, DC; CIA Historical Staff, June 1969). (54) See George O. Forrest, Chief, Chicago Office, memorandum to Chief, Contact Division for Science, 11 March 1955. (55) See Support Division (Connell), memorandum to Dewelt E. Walker, 25 April 1957. (56) See J. Arnold Shaw, Assistant to the Director, letter to Davidson, 10 May 1957. (57) See Support (Connell) memorandum to Lt. Col. V. Skakich, 27 August 1957 and Lamountain, memorandum to Support (Connell), 20 December 1957. (58) See Lamountain, cable to Support (Connell), 31 July 1958. (59) See Support (Connell) cable to Skakich, 3 October 1957 and Skakich, cable to Connell, 9 October 1957. (60) See Skakich, cable to Connell, 9 October 1957. (61) See R. P. B. Lohmann, memorandum for Chief, Contact Division, DO, 9 January 1958. (62) See Support, cable to Skakich, 20 February 1958 and Connell (Support) cable to Lamountain, 19 December 1957. (63) See Edwin M. Ashcraft, Chief, Contact Division, Office of Operations, memorandum for Austin Bricker, Jr., Assistant to the Director, “Inquiry by Major Donald E. Keyhoe on John Hazen’s Association with the Agency,” 22 January 1959. (64) See John T. Hazen, memorandum to Chief, Contact Division, 12 December 1957. See also Ashcraft, memorandum to Cleveland Resident Agent, “Ralph E. Mayher,” 20 December 1957. According to this memorandum, the photographs were viewed at “a high level and returned to us without comment.” The Air Force held the original negatives. The CIA records were probably destroyed. (65) The issue would resurface in the 1970s with the GSW FOIA court case. (66) See Robert Amory, Jr., DDI, memorandum for Assistant Director/Scientific Intelligence, “Flying Saucers,” 26 March 1956. See also Wallace R. Lamphire, Office of the Director, Planning and Coordination Staff, memorandum for Richard M. Bissell, Jr., “Unidentified Flying Saucers (UFO),” 11 June 1957; Philip Strong, memorandum for the Director, NPIC, “Reported Photography of Unidentified Flying Objects,” 27 October 1958; Scoville, memorandum to Lawrence Houston, Legislative Counsel, “Reply to Honorable Joseph E. Garth,” 12 July 1961; and Houston, letter to Garth, 13 July 1961. (67) See, for example, Davidson, letter to Congressman Joseph Garth, 26 June 1961 and Carl Vinson, Chairman, House Committee on Armed Services, letter to Rep. Robert A. Everett, 2 September 1964. (68) See Maxwell W. Hunter, staff member, National Aeronautics and Space Council, Executive Office of the President, memorandum for Robert F. Parkard, Office of International Scientific Affairs, Department of State, “Thoughts on the Space Alien Race Question,” 18 July 1963, File SP 16, Records of the Department of State, Record Group 59, National Archives. See also F. J. Sheridan, Chief, Washington Office, memorandum to Chief, Contact Division, “National Investigation Committee on Aerial Phenomena (NICAP),” 25 January 1965. (69) Chamberlain, memorandum for DCI, “Evaluation of UFOs,” 26 January 1965. (70) See Jacobs, The UFO Controversy, p. 199 and US Air Force, Scientific Advisory Board, Ad Hoc Committee (O’Brien Committee) to Review Project BLUE BOOK, Special Report (Washington, DC: 1966). See also The New York Times, 14 August 1966, p. 70. (71) See “Congress Reassured on Space Visits,” The New York Times, 6 April 1966. (72) Weber, letter to Col. Gerald E. Jorgensen, Chief, Community Relations Division, Office of Information, US Air Force, 15 August 1966. The Durant report was a detailed summary of the Robertson panel proceedings. (73) See John Lear, “The Disputed CIA Document on UFOs,” Saturday Review (September 3, 1966), p. 45. 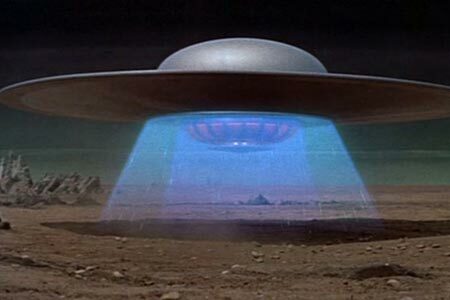 The Lear article was otherwise unsympathetic to UFO sightings and the possibility that extraterritorials were involved. The Air Force had been eager to provide Lear with the full report. See Walter L. Mackey, Executive Officer, memorandum for DCI, “Air Force Request to Declassify CIA Material on Unidentified Flying Objects (UFO),” 1 September 1966. (74) See Klass, UFOs, p. 40, Jacobs, The UFO Controversy, p. 214 and Everet Clark, “Physicist Scores `Saucer Status,'” The New York Times, 21 October 1966. See also James E. McDonald, “Statement on Unidentified Flying Objects,” submitted to the House Committee on Science and Astronautics, 29 July 1968. (75) Condon is quoted in Walter Sullivan, “3 Aides Selected in Saucer Inquiry,” The New York Times, 8 October 1966. See also “An Outspoken Scientist, Edward Uhler Condon,” The New York Times, 8 October 1966. Condon, an outgoing, gruff scientist, had earlier become embroiled in a controversy with the House Unamerican Activities Committee that claimed Condon was “one of the weakest links in our atomic security.” See also Peebles, Watch the Skies, pp. 169-195. (76) See Lundahl, memorandum for DDI, 7 February 1967. (77) See memorandum for the record, “Visit of Dr. Condon to NPIC, 20 February 1967,” 23 February 1967. See also the analysis of the photographs in memorandum for Lundahl, “Photo Analysis of UFO Photography,” 17 February 1967. (78) See memorandum for the record, “UFO Briefing for Dr. Edward Condon, 5 May 1967,” 8 May 1967 and attached “Guidelines to UFO Photographers and UFO Photographic Information Sheet.” See also Condon Committee, Press Release, 1 May 1967 and Klass, UFOs, p. 41. The Zaneville photographs turned out to be a hoax. (79) See Edward U. Condon, Scientific Study of Unidentified Flying Objects (New York: Bantam Books, 1969) and Klass, UFOs, p. 41. The report contained the Durant report with only minor deletions. (80) See Office of Assistant Secretary of Defense, News Release, “Air Force to Terminate Project BLUEBOOK,” 17 December 1969. The Air Force retired BLUEBOOK records to the USAF Archives at Maxwell Air Force Base in Alabama. In 1976 the Air Force turned over all BLUEBOOK files to the National Archives and Records Administration, which made them available to the public without major restrictions. Some names have been withheld from the documents. See Klass, UFOs, p. 6. (81) GSW was a small group of UFO buffs based in Phoenix, Arizona, and headed by William H. Spaulding. (82) See Klass, UFOs, p. 8. (83) See Wilson, letter to Spaulding, 26 March 1976 and GSW v. CIA Civil Action Case 78-859. (84) GSW v. CIA Civil Action Case 78-859, p. 2. (85) Author interview with Launie Ziebell, 23 June 1994 and author interview with OSI analyst, 21 July 1994. See also affidavits of George Owens, CIA Information and Privacy Act Coordinator; Karl H. Weber, OSI; Sidney D. Stembridge, Office of Security; and Rutledge P. Hazzard, DS&T; GSW v. CIA Civil Action Case 78-859 and Sayre Stevens, Deputy Director for National Foreign Assessment, memorandum for Thomas H. White, Assistant for Information, Information Review Committee, “FOIA Litigation Ground Saucer Watch,” no date. (86) See “CIA Papers Detail UFO Surveillance,” The New York Times, 13 January 1979; Patrick Huyghe, “UFO Files: The Untold Story,” The New York Times Magazine, 14 October 1979, p. 106; and Jerome Clark, “UFO Update,” UFO Report, August 1979. (87) Jerome Clark, “Latest UFO News Briefs From Around the World,” UFO Update, August 1979 and GSW v. CIA Civil Action No. 78-859. (88) See Wortman, memorandum for DCI Turner, “Your Question, `Are we in UFOs?’ Annotated to The New York Times News Release Article,” 18 January 1979. (89) See GSW v. CIA Civil Action 78-859. See also Klass, UFOs, pp. 10-12. (90) See John Brennan, memorandum for Richard Warshaw, Executive Assistant, DCI, “Requested Information on UFOs,” 30 September 1993; Author interviews with OSWR analyst, 14 June 1994 and OSI analyst, 21 July 1994. This author found almost no documentation on Agency involvement with UFOs in the 1980s. There is a DIA Psychic Center and the NSA studies parapsychology, that branch of psychology that deals with the investigation of such psychic phenomena as clairvoyance, extrasensory perception, and telepathy. 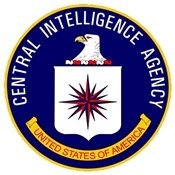 The CIA reportedly is also a member of an Incident Response Team to investigate UFO landings, if one should occur. This team has never met. The lack of solid CIA documentation on Agency UFO-related activities in the 1980s leaves the entire issue somewhat murky for this period. Much of the UFO literature presently focuses on contactees and abductees. See John E. Mack, Abduction, Human Encounters with Aliens (New York: Charles Scribner’s Sons, 1994) and Howard Blum, Out There (New York: Simon and Schuster, 1990). (91) See Charles Berlitz and William L. Moore, The Roswell Incident (New York: Berkeley Books, 1988); Moore, “The Roswell Incident: New Evidence in the Search for a Crashed UFO,” (Burbank, California: Fair Witness Project, 1982), Publication Number 1201; and Klass, UFOs, pp. 280-281. In 1994 Congressman Steven H. Schiff (R-NM) called for an official study of the Roswell incident. The GAO is conducting a separate investigation of the incident. The CIA is not involved in the investigation. See Klass, UFOs, pp. 279-281; John H. Wright, Information and Privacy Coordinator, letter to Derek Skreen, 20 September 1993; and OSWR analyst interview. See also the made-for-TV film, Roswell, which appeared on cable TV on 31 July 1994 and Peebles, Watch the Skies, pp. 245-251. (92) See John Diamond, “Air Force Probes 1947 UFO Claim Findings Are Down to Earth,” 9 September 1994, Associated Press release; William J. Broad, “Wreckage of a `Spaceship’: Of This Earth (and U.S.),” The New York Times, 18 September 1994, p. 1; and USAF Col. Richard L. Weaver and 1st Lt. James McAndrew, The Roswell Report, Fact Versus Fiction in New Mexico Desert (Washington, DC: GPO, 1995). (93) See Good, Above Top Secret; Moore and S. T. Friedman, “Philip Klass and MJ-12: What are the Facts,” (Burbank California: Fair-Witness Project, 1988), Publication Number 1290; Klass, “New Evidence of MJ-12 Hoax,” Skeptical Inquirer, vol. 14 (Winter 1990); and Moore and Jaime H. Shandera, The MJ-12 Documents: An Analytical Report (Burbank, California: Fair-Witness Project, 1990), Publication Number 1500. Walter Bedell Smith supposedly replaced Forrestal on 1 August 1950 following Forrestal’s death. All members listed were deceased when the MJ-12 “documents” surfaced in 1984. See Peebles, Watch the Skies, pp. 258-268. Dr. Larry Bland, editor of The George C. Marshall Papers, discovered that one of the so-called Majestic-12 documents was a complete fraud. It contained the exact same language as a letter from Marshall to Presidential candidate Thomas Dewey regarding the “Magic” intercepts in 1944. The dates and names had been altered and “Magic” changed to “Majic.” Moreover, it was a photocopy, not an original. No original MJ-12 documents have ever surfaced. Telephone conversation between the author and Bland, 29 August 1994. Gerald K. Haines is the National Reconnaissance Office historian.